In this third of three articles in our summer series, LIHEAP.org offers a special report surrounding Native American tribes and their support of LIHEAP as a national program that's vital for many tribes. The following interview was written and reported by Jake Brown with Wyandotte Nation. Senator Ed Markey is an avid supporter of energy, environmental protection, and telecommunications issues, particularly when they impact the residents of Massachusetts. He is dedicated to improving the lives of people in his state and the nation at large. Below are his comments in support of LIHEAP and its impact on local Massachusetts residents. Thank you to Senator Markey for his commitment and advocacy on behalf of LIHEAP and the households it serves. 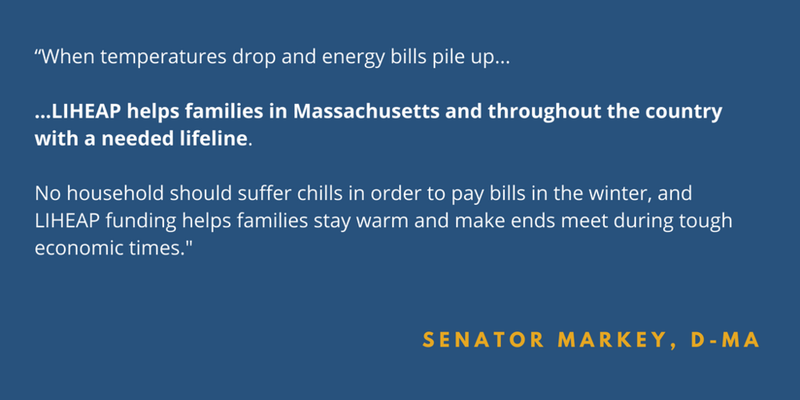 "When temperatures drop and energy bills pile up, LIHEAP helps families in Massachusetts and throughout the country with a needed lifeline. No household should suffer chills in order to pay bills in the winter, and LIHEAP funding helps families stay warm and make ends meet during tough economic times."